Of course you should take your mother or wife out to dinner or brunch and perhaps buy her fancy chocolates or a fine bottle of wine she’d never buy for herself. But to linger in her heart, select the perfect read that she’ll enjoy long after the meal ends. Whether your Mom reads electronically, prefers hardcovers because they last, likes audio books so she can listen on the way to work, or enjoys paperbacks because they’re easy to take to the beach – choose something that fits her reading interests. The Secret of Magic by Deborah Johnson is set in 1946 when Regina Robichard, a young lawyer working with Thurgood Marshall in the New York NAACP legal offices, heads to a small town in Mississippi to investigate the death of an African-American GI who died near his home as he was returning from the war. Ms. Robichard is intrigued by a letter about the case from the reclusive white author (M.P. Calhoun) who wrote her favorite childhood book. She soon learns that racism is different in the south but not in the ways she expected. She doesn’t feel alone in her blackness there but is wary of the almost magical forces that control the town and its people. Mom will escape into this novel and emerge wanting to suggest it to her book club. 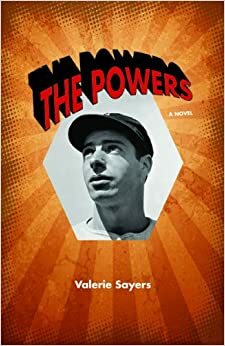 The Powers by Valerie Sayers tells of life in New York in 1941 when war looms and Joe DiMaggio’s hitting streak entrances everyone. Seventeen-year-old Agnes O’Leary lives with her father, sisters, and the indomitable Babe, her grandmother, who’s cared for all of them since her mother’s suicide when she was very young. Babe, a diehard Yankee fan, knows that her prayers and powers fuel DiMaggio and the Yanks. She’s the glue that holds the center in this novel and DiMaggio is her alter image. His scenes are magnificent and he too has superstitions that seem magical. Agnes’ two inseparable buddies are in love with her. One has become a pacifist influenced by the Jesuits and Dorothy Day. The other is of German descent and Babe worries that he might be a Jew. Reminiscent of Wait Till Next Year and The Year of the Boar and Jackie Robinson this novel will appeal to baseball fans, WWII aficionados, and those looking for a simple story of love and doing what’s right. Ron Charles of the Washington Post calls Babe a “baseball loving Olive Kitteridge.” The narrative grips but Babe and DiMaggio reign. It also cries for discussion of war, stereotypes, prejudice, mental health, and responsibility. Faith Unraveled: How a Girl Who Knew All the Answers Learned to Ask the Questions by Rachel Held Evans is a wonderful look at Christianity today. Evans grew up in a fundamentalist church in the town where the Scopes “Monkey” trial took place. Her book was originally titled “Evolving in Monkey Town” and evolve she does and “church lady” mothers will enjoy observing her trek. Evans confesses: “As a Christian, I’ve been hurtful. I’m judgmental of people I think are judgmental. At twenty-seven, I almost always root for the underdog, and sometimes I get the feeling that God does too. . . I’m a lot of things, but fair and balanced I am not.” She says that the more she learned, the less she felt she knew and the less she felt she knew the more she learned. If your mother likes to follow faith journeys to enhance her own, she’ll adore this memoir. Delicious! by Ruth Reichl is happiness distilled in a novel. Delicious! is happiness distilled in a gingerbread cake. Ruth Reichl, the former New York Times restaurant critic, editor of Gourmet magazine, and acclaimed author of memoirs Tender at the Bone and Comfort Me with Apples cooks up a romantic romp in her first foray into fiction. Summing it Up: Delicious won’t be nominated for a Pulitzer but it’s the kind of romp you enjoy for what it is - a simple, uncomplicated gingerbread cake of a romantic treat that isn’t meant to be a deconstructed masterpiece. You don’t care that it’s a bit predictable because you like the characters, cheer for the romance, and above all you absolutely adore the recipes and insider foodie information. It makes you want to head to the nearest Italian deli to find your own romantic stranger then cook a gourmet meal. Mother’s Day Alert: If your Mom still keeps her copies of “Gourmet” or “Bon Appetit” and adored Meryl Streep as Julia Child then this is absolutely the best non-edible gift you can give her this year. P.S. You will probably read it yourself BEFORE you wrap it.